Do you know your Orion’s Belt from your Cassiopeia? Do you live in the middle of a city where even the brightest stars are rarely visible? 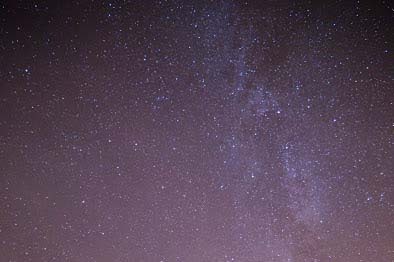 On a dark clear night in Snowdonia you’ll see a carpet of stars not just a few dotted about. I still stand mesmerised by the night sky on a regular basis. Last night I was looking at satellites passing over – quite clear amongst the stars. And when it is in our sky, the International Space Station is easy to see. I’m told that there are lots of shooting stars but I always seem to be looking in the wrong direction and just see the flash out of the corner of my eye as one burns up in the atmosphere. OK, that’s not true – I have seen a couple of really spectacular ones go across the sky right in front of me. Makes your heart beat faster – it’s like something out of Disney and everyone turns to each other and says “did you see THAT?”. Have you ever seen the Milky Way? When you first look into the sky it is almost like a vague wisp of cloud snaking above you but as your eyes get more used to the dark it becomes brighter and brighter until it is a clear band of light. Millions? Billions of stars densely packed together. You’ll see it if you are somewhere dark enough. Then, of course, there is the patience bit. It is said that your eyes need about 30 minutes to adjust properly to the dark and that is when you will see the most stars. At this time of the year that means being well wrapped up, a comfy seat and a hot drink – well that’s my opinion. Most of the decks at our cabins have a great view of the night sky. For something even more panoramic, a short walk up the hill behind the cabins will give you an even greater view of the sky. Come to stay with us at Cadair View Lodge in the heart of the Snowdonia National Park and (depending on the weather and the moon) you should have plenty of opportunity to view the night sky. Whether you are somebody who will bring their own telescope or just somebody like me who can recognise a few things loves to stare you will it’ll be a great experience. Have a look at this animation to help you to recognise some of the basic constellations and stars. Categories: Christmas, Have You Packed For Wales, Romantic Break, Short Break, Snowdonia | Tags: #activities, #logcabin, #walking, Cadair View Lodge | Permalink.